Note in my in-box concerning Counterinsurgency and Water Polo. I thought your blog was very interesting and I enjoyed reading it. 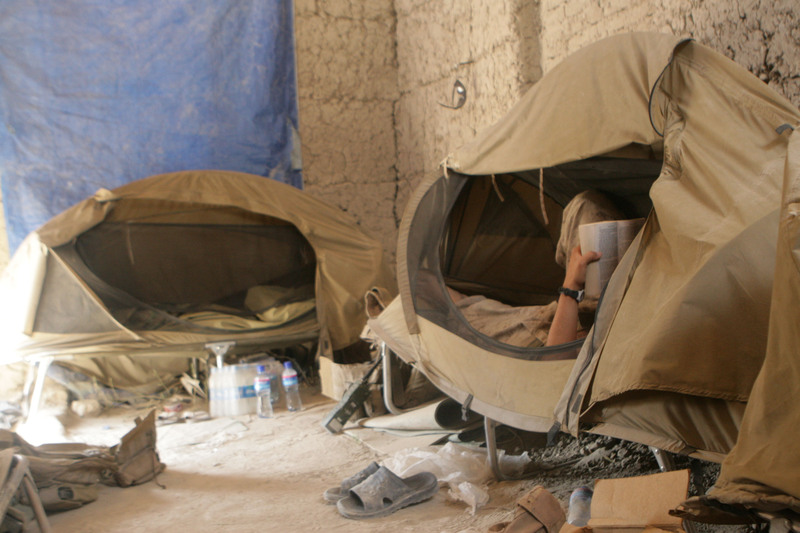 I have seen many different sides to the war and many other things in Afghanistan. The program in Shorabak was what I did in my off duty time (The few hours that I had since I worked many hours every day). It is not something that was planned or a set job, it was just something that I did on my own. It is my own outreach into the local community. Please call me if you ever want to chat or get more insight into the program. I stand corrected. These were officers and not NCOs. Also, in the original article I wasn’t knocking Water Polo. I have never played and know nothing about it. But I maintain by disappointment in the ANA, and still believe that sports are a poor replacement for good training, discipline and esprit de corps. 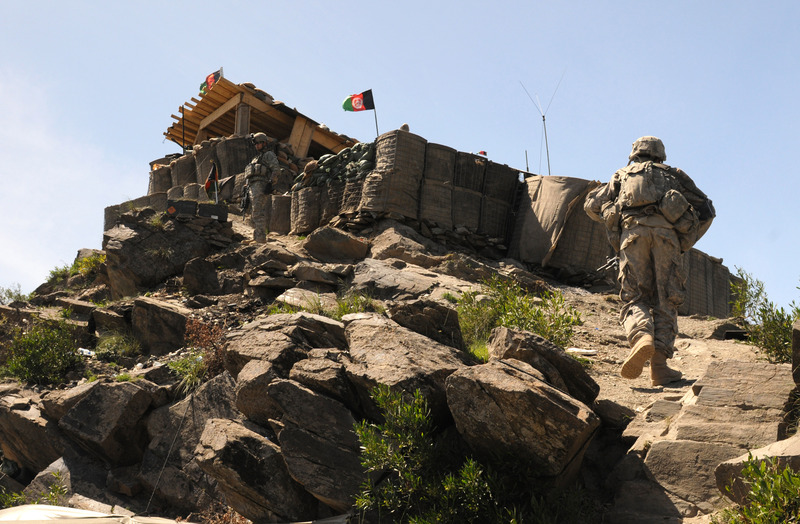 In The Strategy of Chasing the Taliban I outlined the arguments against the application of strictly a population-centric approach in Afghanistan. We discussed how the ROE was preventing U.S. troops from engaging the insurgency when it was possible that noncombatants could be involved, and that this tactical approach had caused the need to chase the insurgents when they took cover in civilian areas and then later escaped. We must chase the Taliban and kill every last one of them, we are told by some Afghanis. The Marines have also had to address this same issue in Helmand. With too few troops, the tactic of fire and melt away must be addressed through different means than saturation of troops. Quite literally, the insurgents can do this forever, and we can’t stay that long. The U.S. Marines have heard my counsel (actually, they probably got to it first) and responded with the implementation of a quick reaction force. CAMP LEATHERNECK, Helmand province, Afghanistan — When Marines kick in doors and begin to put rounds down range, some insurgents flee — a Huey pilot helped create a way to stop them before they slip through the cracks. Capt. Bret W. Morriss, a pilot with Marine Light Attack Helicopter Squadron 367, “Scarface,” 3rd Marine Aircraft Wing (Forward), used the capabilities of the new UH-1Y Huey to create a concept to aid in the capture of insurgents. Capt. Kevin Kinkade, the platoon commander for B Company, 3rd Reconnaissance Detachment, worked with Morriss to develop a way to effectively pursue insurgents who flee. 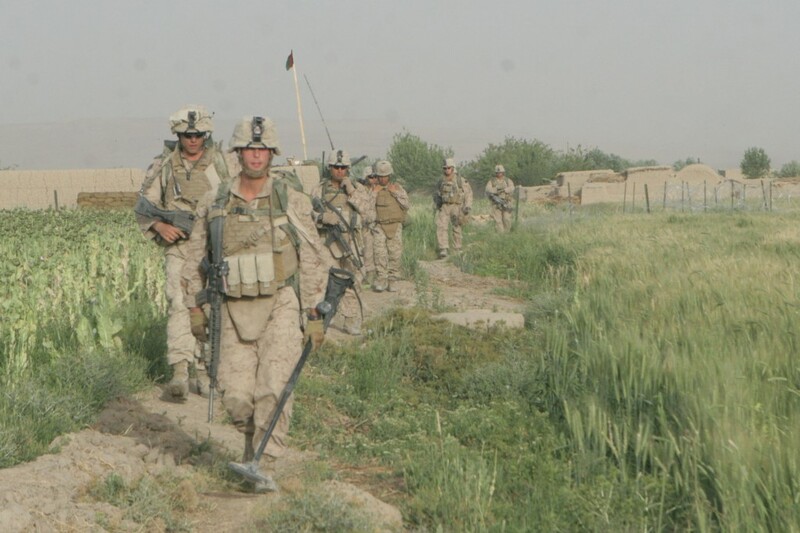 It can be dangerous for troops on the ground to chase fleeing insurgents because the enemy uses mines and improvised explosive devices to protect their routes of escape, explained Morriss. Morriss and Kinkade created a concept called an aerial reaction force by adapting the concept of a quick reaction force. A QRF is a rapid response force commonly used to reinforce or investigate areas of interest. By combining the time-tested tactics of the QRF and the capabilities of the new Huey, the Marines created ARF — a force with strength in a couple of prime areas. The new Huey can keep up with the demands of the ARF concept because of the improved lifting power of the helicopter. It can carry 6-8 combat-loaded Marines, plus the helo’s crew, into and out of tactical zones at high altitudes and in hot weather. The previous helicopter the Marine Corps used was the UH-1N Huey that did not have the power to carry such a load. Morriss’ squadron is the first HMLA to use the new Huey in combat. The new helicopter provides outstanding economy of force, giving close air support and reconnaissance support for the Marines that it inserts. Historically, Marines used a heavy or medium lift helicopter to bring in the reinforcements, and flew attack helicopters for close air support. By employing these new Hueys, Marines can use ARF to quickly capture a person of interest or small group of insurgents, or they can be used as an addition to a larger ground operation. The UH-1Y has brought back true utility to the Marine Corps supporting a wide variety of assault support missions. Morriss, a graduate of Virginia Tech, received a Navy and Marine Corps Achievement Medal for his part in creating and executing ARF. Just as Marines have done throughout history, Morriss and Kinkade adapted to the war at hand and developed new Marine Corps tactics that will likely save Marines’ lives and ensure the capture or elimination of the enemy. This is adaptation at its finest. It’s what the U.S. Marines do, and it’s what is needed in this geophysical space at this moment in time given the circumstances. As a preface for discussing counterinsurgency and water polo, recall our observations of the Afghan National Army over the past months. This video is of immeasurable value. C. J. Chivers updates us with a view to the ANA’s tactical capabilities (or even basic soldiering abilities). They don’t aim their weapons. They point them. The ANA is not even capable enough to be considered the first line of defense against the insurgency. Across Afghanistan, being in the Afghan National Police is considered to be more dangerous than being in the ANA. Afghanistan may be landlocked, and pools may be scarce, but soldiers with the Afghan National Army aren’t letting these minor obstacles put a damper on their Olympic water polo dreams. 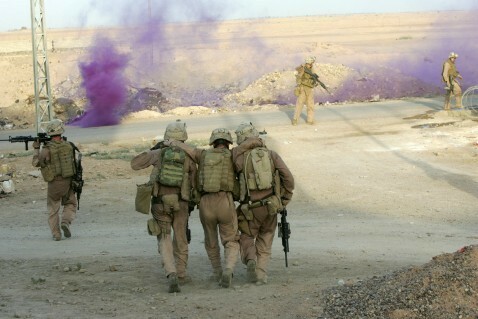 Under the Marine Corps’ tutelage, these soldiers are training at the ANA’s Camp Shorabak in Helmand province. The ultimate goal is to secure an Afghan team for the 2016 summer games in Rio de Janeiro. For most, if not all, the training has been their first experience in a pool. Chief Warrant Officer 2 Jeremy Piasecki, a reservist with Marine Corps Forces Command, says leading Afghanistan’s water polo program is a unique way to further the counterinsurgency mission. Piasecki, a youth water polo coach in the U.S. since 2004, was tapped by the Afghanistan Olympic committee in 2008 around the time Afghanistan secured its first Olympic champion, Rohullah Nikpai, who won bronze in a taekwondo event in Beijing. With Afghanistan wanting more medal opportunities, water polo was named a national sport, Piasecki said, and he formed the country’s national water polo team in August 2008. The Shorabak team, Helmand province’s first, only recently formed. The base, located minutes from the Corps’ Camp Leatherneck, was ideal because it actually had a pool. Unfortunately, the water is untreated and nonpotable — one reason you may not see Marines in the pool. Though his tour downrange is now done, Piasecki plans to continue coaching. He already operates a California-based nonprofit called “Afghanistan Water Polo” and has a website. He hopes to fund a trip for the Afghan athletes to train in the U.S.
Now to be sure, I am on one side of the counterinsurgency equation with Colonel Gian Gentile (holding that the population isn’t necessarily the center of gravity of a counterinsurgency campaign), and folks like Andrew Exum are on the other. But this is a different order of magnitude entirely. Has our cheese slid off of our cracker? We now have U.S. Marine Corps NCOs extolling the virtues of water polo to the practice of counterinsurgency. Do you think that maybe we have overdone it just a little? Perhaps learning to fire a weapon and standing duty would be a better use of their time. Or perhaps not, depending upon what these soldiers are like. But why do we have U.S. Marine Corps NCOs busying themselves with this? Where is the State Department or some other part of the U.S. government that can apply the soft side of COIN? Or perhaps the State Department doesn’t believe in the mission. Jim White at the very liberal Firedoglake links and cites me concerning battlespace control and the associated response by General McChrystal’s Staff. The tale is so twisted and unrelated to the subject of my two articles that I don’t even know where to begin to decipher what he is talking about, so I can’t copy any of his prose. He fancies cover-ups, horrible secret things to which we aren’t privy, and all manner of malfeasance and misdeed. He cites the very un-American Gareth Porter, and he charges deception at every turn. It just goes to show that presuppositions mean everything. You see a devil around every corner if you think that there is supposed to be one there. And all of this time I actually thought I was talking about RC South battlespace control, appreciation for and full utilization of the MAGTF (Marine Air Ground Task Force) concept and organization, and matrix of SOF to regional command so as to ensure that there is integration, cooperation and full cognizance of parallel operations in the AO. UPDATE: Over at Firedoglake, Jim dropped a comment that said something like “Hey look. Someone’s mad at me,” linking this article. Then he conveniently turned off comments to the post. No, Jim. Not mad. Humored and amused, but not mad. That’s why this article was posted in the humor category. There is a popular belief that soldiers have a significantly longer life expectancy in a combat zone after they have survived their first few firefights. But little research has been conducted to evaluate what soldiers learn early in their deployments that would make the difference between improved effectiveness and becoming a combat fatality. Can learned factors or perhaps inherent traits be replicated and conveyed in training so that a soldier’s chance of surviving initial firefights is similar to that of a seasoned combat veteran? Past anecdotal discussions have indicated that military units tend to suffer higher casualty rates in their first engagements with the enemy. Recent research demonstrates that the first 100 days of combat is a more reliable critical period for improving the likelihood of survival than the widely held “first five firefights” theory. These results hold implications for several aspects of modern training, as well as tactics, techniques and procedures used by today’s military. The findings are the result of a study commissioned by the Defense Advanced Research Projects Agency. The study sought to determine the most likely times within a tour of duty that a soldier might become a combat-related fatality. The research also aimed to identify methods for reducing fatalities associated with these vulnerable times during a soldier’s deployment. Statistics are not kept on the number of firefights in which a soldier experiences. In addition, a commonly accepted definition of firefight was difficult to ascertain, further complicating an investigation of the “first five” concept. Based on analyses of databases covering all publicly available U.S. and U.K. fatalities over the past three years, nearly 40 percent of fatalities occur in the first three months of deployment. One potential factor is troop transitions, such as old units rotating out and new units learning the ropes as they rotate in. Loss of local intelligence when an old unit leaves can be a crucial factor affecting fatalities during these initial months. When the old unit departs, relationships with locals are frequently lost. Lack of familiarity with the environment and enemy tactics, as well as a general lack of experience, are also important factors. 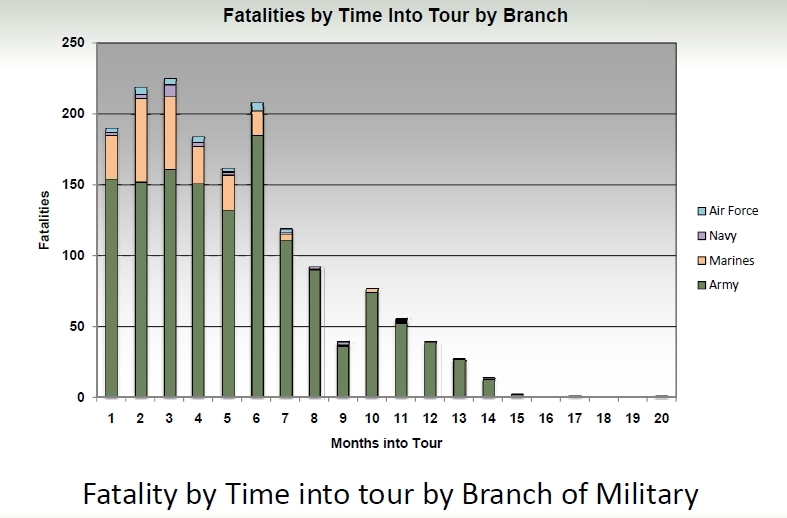 Analysis revealed another increase in Army fatalities, though not as dramatic, at approximately the six-month mark of a tour. The six-month spike was less pronounced for Marines, Navy and Air Force personnel. In addition, a minor spike in fatalities occurred again for soldiers at the 10-month mark. Likely factors for the increase in fatalities in these later months are fatigue, complacency and stale tactics. Frequent missions and patrols, overly consistent day-to-day procedures, and lack of in-theater training to maintain soldier focus may exacerbate these factors as well. The graph above comes directly from Capturing Insights from Firefights to Improve Training, a DARPA presentation which I obtained from Scott Scheff with HFDesignworks. There are several interesting and noteworthy observations from the study. The spike at six months for Marines is not less likely as National Defense claims. It is non-existent. The spike occurs only for Army deployments. Unstated is whether seventh month deployments versus 12- or 16-month deployments for the Army have anything to do with these metrics. Regardless of why this spike occurs for Army and not the Marines, the message is clear from the study. Stale tactics, techniques and procedures (TTPs) allows the insurgents to train themselves to our routines. There are a number of tools recommended by the team which could contribute to better metrics (whether two-month or six-month). The team recommends better just-in-time training (or what they call immersion training), a longer overlap from deployed to entry units, training to avoid complacency, theater- and situation-specific weapons deployment, and most importantly, revision of tactics, techniques and procedures to avoid stalemates between insurgents and counterinsurgents near or before the six-month period. This is extremely important. This follows the article entitled Marines, Taliban and Tactics. Techniques and Procedures. Better training and preparation for and during deployments means lives saved.